The Bells Beach range of backpacks, large and medium sized tote bags and duffle bags are inspired by the waves at Bells Beach, one of Australia’s famous surfing beaches. Stylish and practical, the Bells Beach range includes a number of kids and adult backpacks, perfect for the trip down to the beach, quick getaway and for school use. The canvas collection of tote and duffle bags are made from 100% cotton and are a terrific and durable option for camping, hiking and the outdoors. 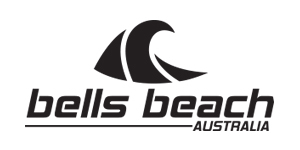 Bells Beach is Australian owned and designed.